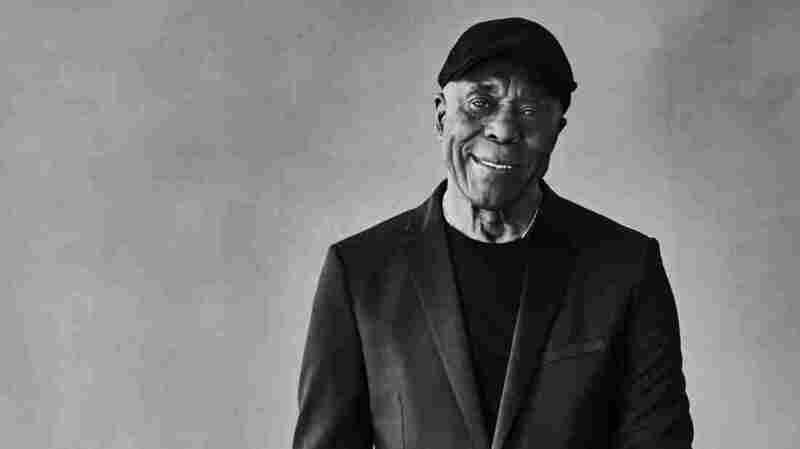 Buddy Guy: 'I Worry About The Future Of Blues Music' Buddy Guy is the blues, and he's our connection to a genre that's embedded in the history of America. But it's a sound the guitarist fears is fading. Buddy Guy is the blues, and he's our connection to a genre that's embedded in the history of America. But it's a sound the guitarist fears is fading. Born and raised in Louisiana without running water or electricity, Guy tells NPR's David Greene, "They got some mosquitoes in Louisiana that can almost lift you out of your bed," which made his parents a little upset when he started tearing the metal wire off the screen door. He was trying to build a guitar. At 79, Guy still plays like a wild man. You can hear it on Born to Play Guitar, his new album, which celebrates his six decades playing the blues. But the scene has changed. When he started, his audiences were all black — except, he tells NPR, for the occasional cop. In the '60s, the blues fell out of fashion with middle-class blacks and the music found a new audience when artists like Eric Clapton and The Rolling Stones started playing it. Buddy Guy gives them credit for making the blues more mainstream while also acknowledging pioneers such as B.B. King, Muddy Waters and himself. I wonder if there aren't as many young black musicians devoting themselves to the blues. Do you worry about the future of blues music? I worry about the future of blues music whether you are black or white. If they don't hear it like I did and listen to it and don't know about it — you ever been to Louisiana where they cook all this gumbo? I do, too. [Laughs.] So if you never tasted it, you wouldn't love it. That's what's happening with the blues. Now, the young people don't know nothing about it unless — I know satellite [radio] do play blues, but we need more than that. I tell everybody I would love to hear Muddy Waters twice a week. I'm not telling you to play him all day, all night; just play him. Let the young people know where it all started. A love letter, a text letter, whatever kind of letter you wanna call it, I hope you're right so someone can say, "Well, maybe this music isn't as bad as I thought it was." It's worth listening to. A lot of people look at blues and think it's a sad music. If you listen to the lyrics of the blues, if it don't hit you, it hits someone you know. And we sang about the good and bad times, so you can't say it's all bad. Not me — he was important to everybody. That's why The Rolling Stones called themselves The Rolling Stones. That was one of his records. Maybe some young people just coming up don't know because they don't play his records anymore, but Clapton, all of the British guys know about him. Of course, you know, I grew up on it. We heard he was sick and he was hiding. He didn't let us know he had cancer. We rang him and he said, "Aw, man, I'm fine." He was profane, I can't say what he said. [Laughs.] He said, "Y'all just keep playing that em-effing blues and don't let that blues die. I'm fine." The next couple days, that's when I got the call from the media and asked me how did I feel — he had passed. For the younger people who don't know much about the blues, what's the case that you would make to go buy a Muddy Waters album as soon as they can? If you don't have the blues and don't know about the blues, just keep livin'. [Laughs.] At least, you're gonna see a better time or a worser time in life. Just listen to what I'm sayin': Just keep livin'. Even if you get in the middle of the expressway and your car quit runnin', you got blues. It's something everybody can relate to. You better believe. Like I said, the blues comes in all denominations, man. It comes with your family, with your lover, with your friend. And I had some good friends until I loaned them a lot of money; then I lost them. [Laughs.] I've got a piece of paper in my club, "You loan your friend your money, you finna lose your money and your friend." And that's the blues, sir.